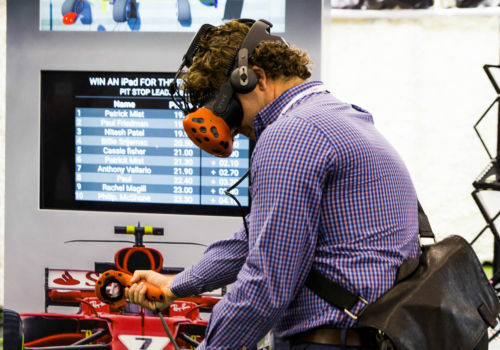 Who will be the fastest on Pit Lane? 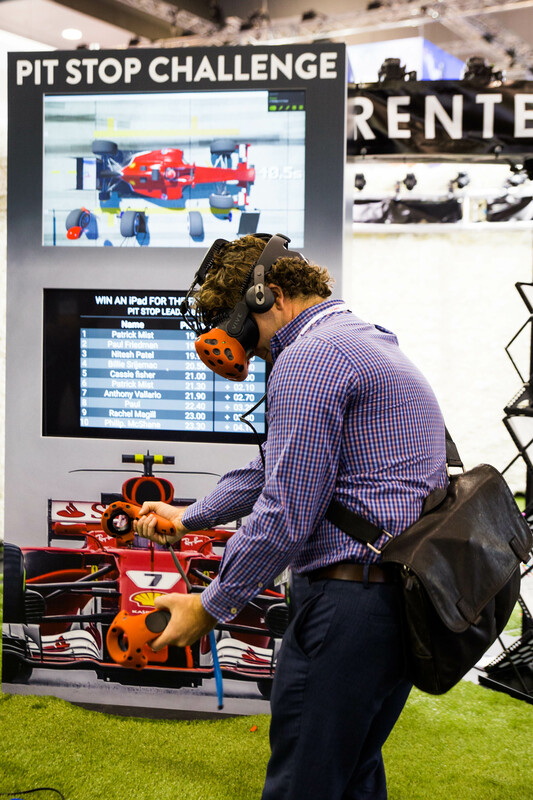 In this VR experience guests will either compete against each other, work as a team, or battle the clock to change a tyre on the F1 track. Firstly, choose your configuration – will it be one player battling the clock, two players versing each other, or three/four players working as a team to ace the challenge? 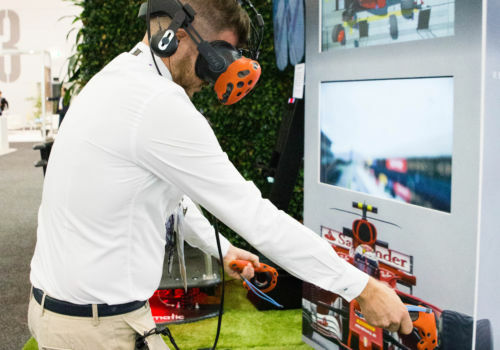 Then, make the most of our premium branding options such as a custom live leaderboard, skinned virtual F1 car, in game logos and customisation, or physical facading. What do you have? The most realistic track side experience other than being on the track itself! 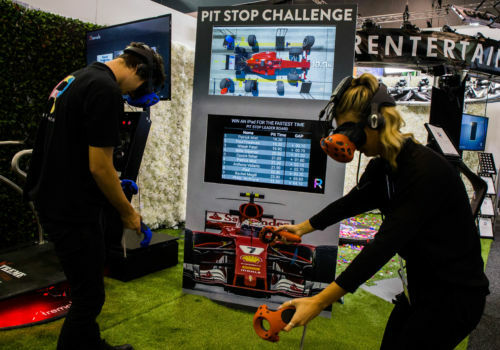 A display screen will show the players view for spectators to watch, and at the end of each round, scores will be shown on the leaderboard. 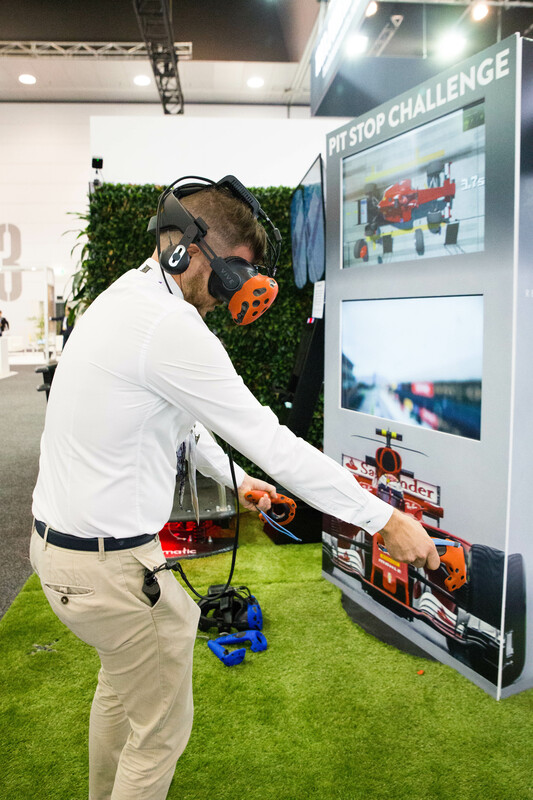 This means it is not only an immersive experience for the participant, but also for the onlookers, who will be sure to want to take up the challenge after seeing the action! 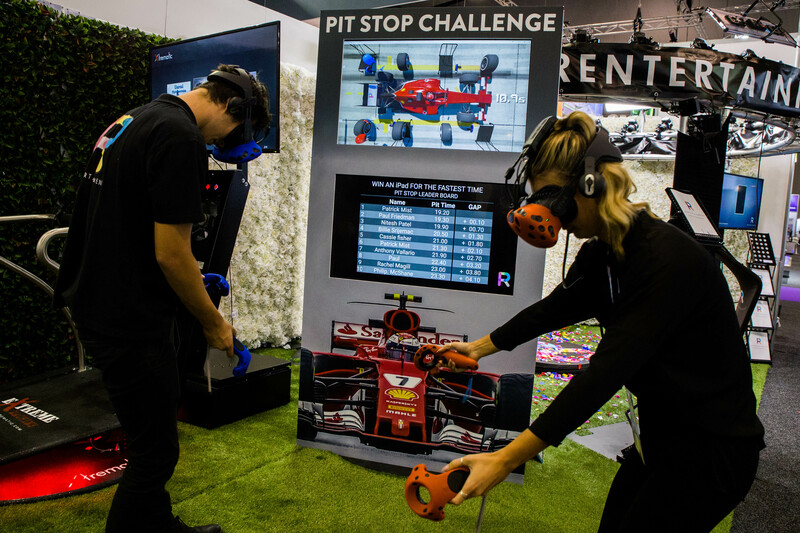 Get in touch with us today if you’re ready to take on the Pit Stop Challenge!